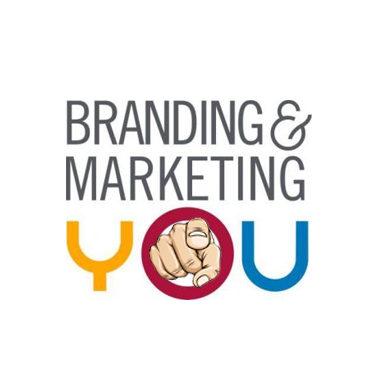 Use the Gorilla to build an UNLIMITED list while Branding YOU! We have over 130 places and growing that will allow you to get all the FREE TRAFFIC you want. Use these techniques to get eyes on your Landing Pages. 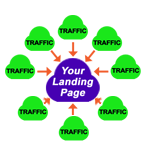 We have many different high converting Landing Pages to choose from. These are professionally designed pages that would cost you at least $100 each to purchase them. They are yours to use 100% FREE! Now you can finally focus on building your list and never worry about how big it's getting. You can have an UNLIMITED amount of people on your list to email blast out to and it's all FREE! Unlike any other system out there, we allow you to BRAND YOU! Every person that you put on your list will see your businesses, traffic sources and tools, but most importantly, they see YOU. These are just a few of our many landing pages. You'll love our Landing Pages. They are professionally designed to convert as many people as possible. No more trying to figure out what to say or how to build your own page. Pick one of our many high converting landing pages, send unlimited visitors to it and then sit back and watch your list grow. As your list grows, use the unlimited built-in Email Blaster to contact them. This allows you to keep constant communication which, in turn, Brands YOU! We understand that you need more than just landing pages and a list builder to create massive success online! 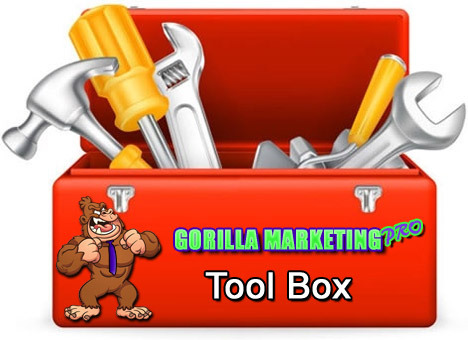 Gorilla Marketing Pro offers you a whole suite of tools to help you build your business and Brand YOU. We spared no expense when building GMP and it's arsenal of tools, but make no mistake... It's all yours to use... FREE for life! From UNLIMITED TEAM ROTATORS to STATE OF THE ART TRACKING... You'll never need another SYSTEM to build your business. 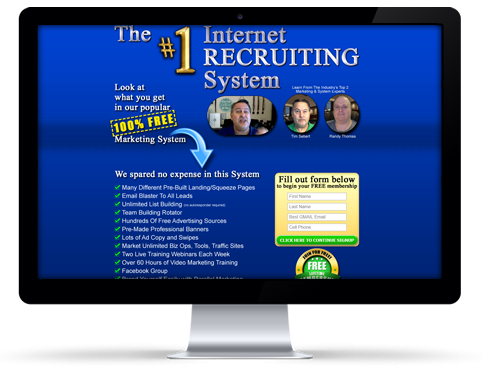 This will save you hundreds of dollars per month! 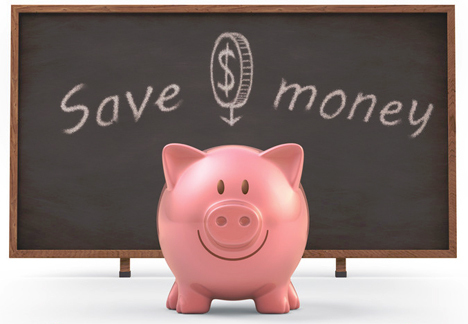 We Save You Hundreds Per Month! 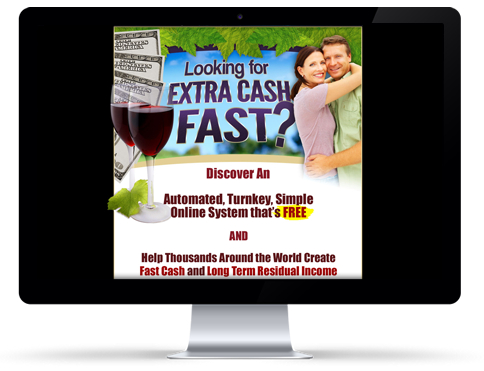 Stop throwing money out the window on other systems that can't even come close to what GMP gives you FREE! Once you join Gorilla Marketing Pro for FREE, there's nothing else you have to join or pay for... that's the 100% truth! 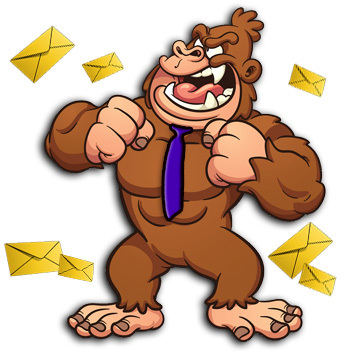 While we do offer you some paid traffic sources, extra tools and a few upgrades and your sponsor does offer you their business opportunities, tools and traffic sources they use, you are under no obligation to ever join, upgrade or purchase anything in order to use Gorilla Marketing Pro FREE for LIFE! The Features and Benefits of Your FREE GMP! We have high quality - high converting landing pages pre-built for you to use with just 1 click of a button. You will be able to see where all of your traffic is coming from at all times. Track by the year, month, week, day and even by the minute. You will be able to promote unlimited business opps, tools and traffic sources that YOU make the commissions on. This allows you to promote everything you belong to with just 1 URL. We call this "Parallel Marketing". You can create unlimited traffic rotators with unlimited url's in each rotator. This will help you and your team advertise 1 url and generate traffic and sales for everyone on your team. Pick from many different professionally written swipes that have proven to create more traffic and conversions. Our award winning graphic banners are yours to use to create more visitors for your landing pages. From small to large, we have what you need to advertise all over the internet! We have over 130 high quality traffic platforms and growing that will allow you to get all the FREE TRAFFIC you want. Use these techniques to get eyes on your Landing Pages. Free access to over 40 hours of video training by Randy Thomas and Tim Sebert, two of Network Marketing and Internet Marketings 7 figure income earners. A new training video is added each week. So you can cancel those costly autoresponders. 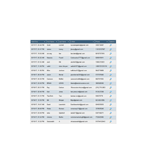 Get rid of those cheap traffic rotators and trackers. 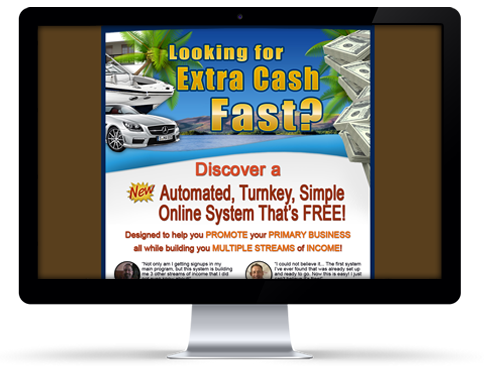 Never use an expensive marketing system again! 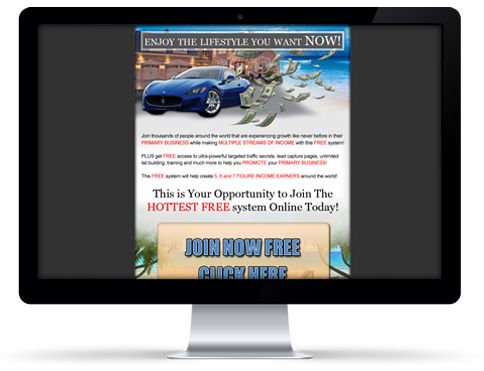 Join Gorilla Marketing Pro absolutely FREE for LIFE right now! You have nothing to lose and a life changing experience to gain!